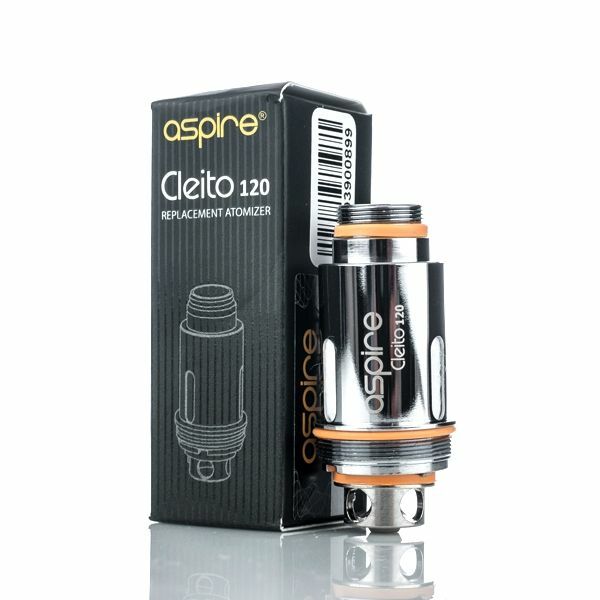 The Aspire Cleito 120 Atomizer Coils are authentic replacement atomizers for Aspire's Cleito 120 Maxi-Watt sub ohm tank. These maxi-watt atomizer heads for design for advanced users looking to create the absolute most vapor possible without having the hassle of custom building your own high wattage coils. Rated for use up to 120W of power, the Cleito 120 coils can easily handle up to 160W or higher depending the characteristics of the liquid you are vaping, a higher VG blend will see best results. An ultra efficient newly designed wicking system allows this tank to vape under high power levels, even during those much needed chain vape sessions, the Cleito 120 Coils will not quickly dry up, leaving you with an extremely pleasurable vape experience. The Cleito 120 Atomizer Coils are currently available in just one style, a clapton style structure rated at 0.16 ohm that is wicked with a pure organic Japanese cotton for the purest flavors imaginable. 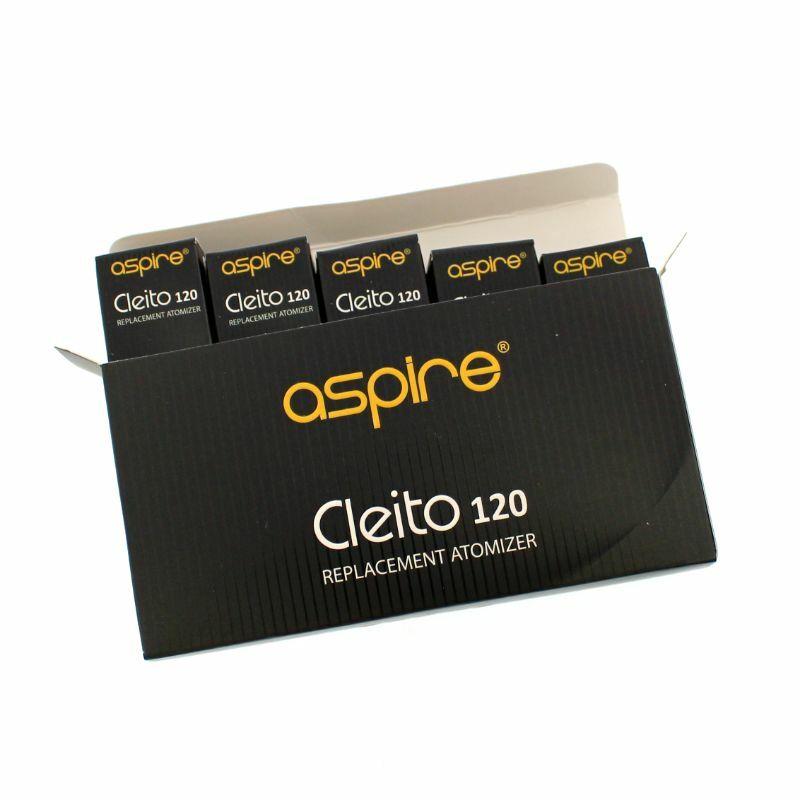 Please note the Cleito 120 coils are designed for users who enjoy vaping at 100W or higher, if you prefer a lower power output (40W-60W) please see the original Cleito tank from Aspire.